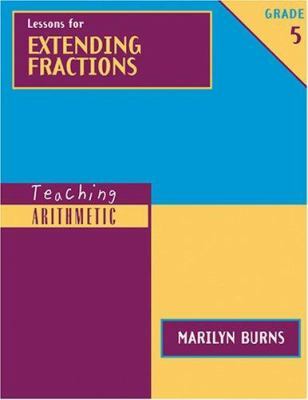 Introducing Fraction by Marilyn Burns. Chapter 2; pages 10-29. 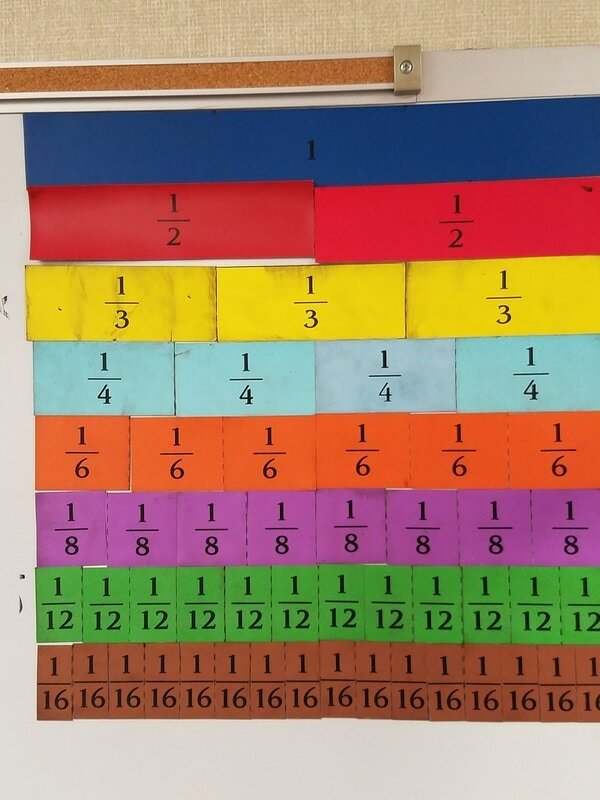 Fraction Kit Guide Grades 4th - 6th by Marilyn Burns. 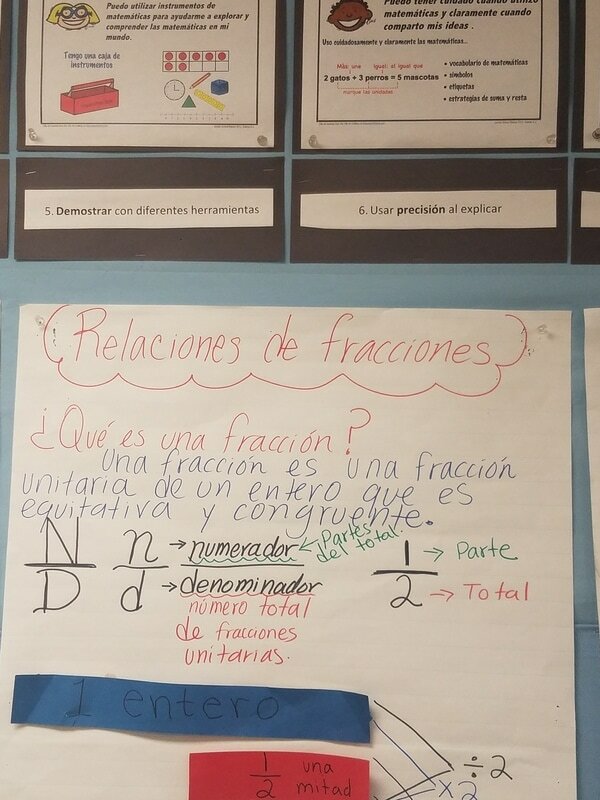 Chart Paper for Comparing Fractions and Relationships. 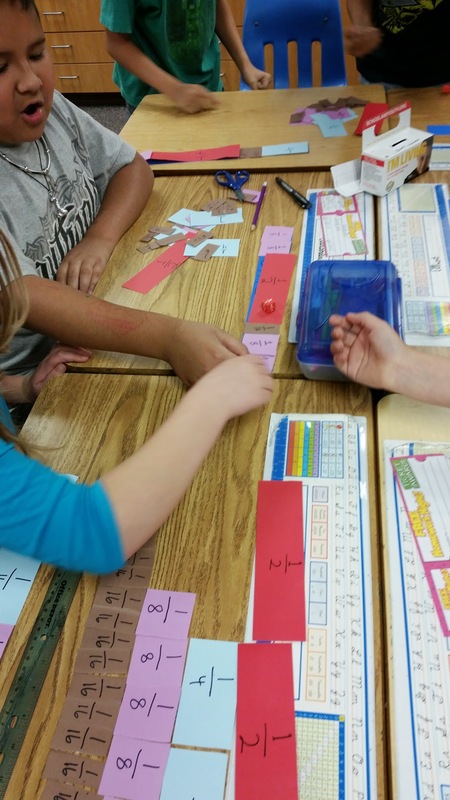 Students will make their fraction kit step-by-step with teacher modeling and instruction. Understanding fractional parts of the same whole. Representing fractional as equal parts of a whole. What is a fraction and how can I represent it? How are fractional parts of the same whole related to each other? Students must understand that the smaller the fractional unit the largest the numerator. 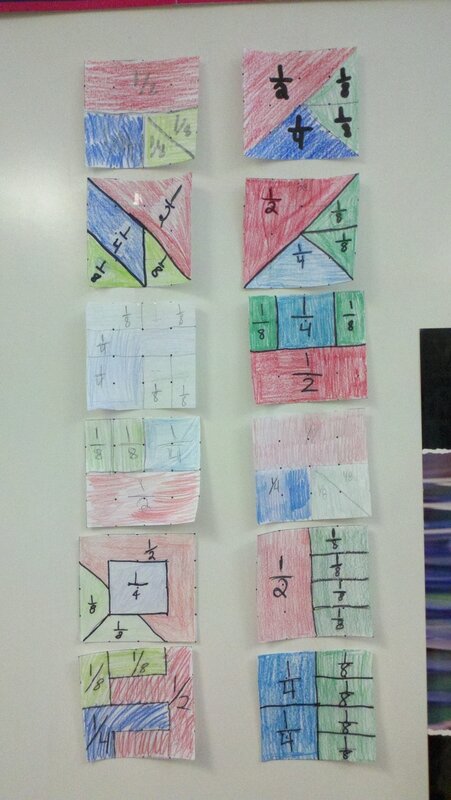 Identify and refer to each color piece as "fractional unit". 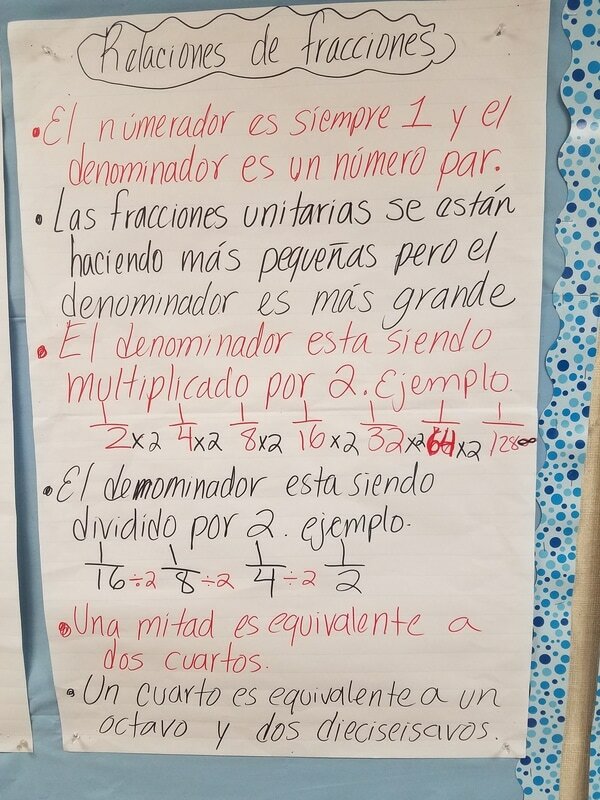 When building relationships start by guiding students with an example... "One relationship I noticed is that 1/4 is less than 1/2" .. "What else can we notice?" 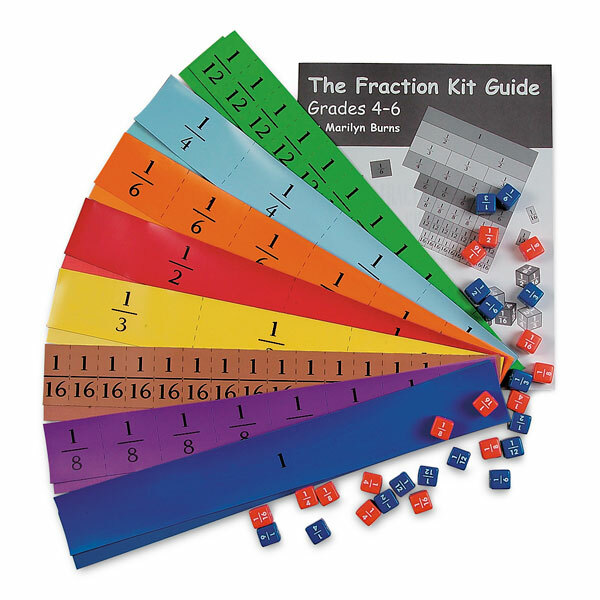 Assess the making of the Fraction Kit. Did the students built it right? 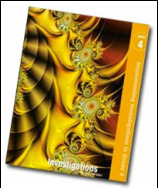 Students will play Cover Up and Uncover, Version 1 & 2. 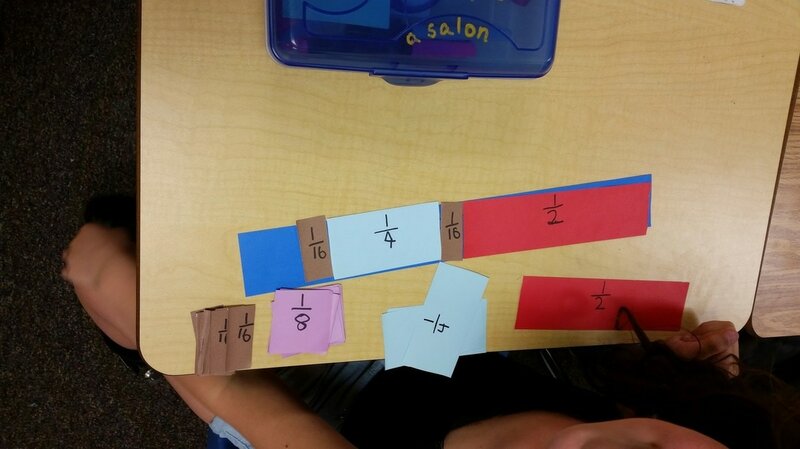 Building a whole using fraction units. Comparing fractional parts using equivalent fractional parts. How can I build a whole using unit fractions? What fractions are on the die? What's the least amount of roles we can use to get to a whole? How far from a whole are you? What possible roles will cover up our whole? What other roles will cover up our whole? How many more ______s do we need to cover the whole? How can I represent equivalent fractions? What is my winning strategy? What will you do? Why? What is the least number of rolls it will take to uncover the whole? Why? What is the greatest number of rolls it will take to uncover the whole? Why? Have students sit in gathering area and use the magnetic fraction kit on whiteboard to model game. Some students will want to trim their pieces because their pieces are not exact when covering or uncovering the whole, etc. Remind students that measurement is never exact, so it's likely that their pieces aren't exactly the right sizes. Trimming the pieces can't really solve that problem. 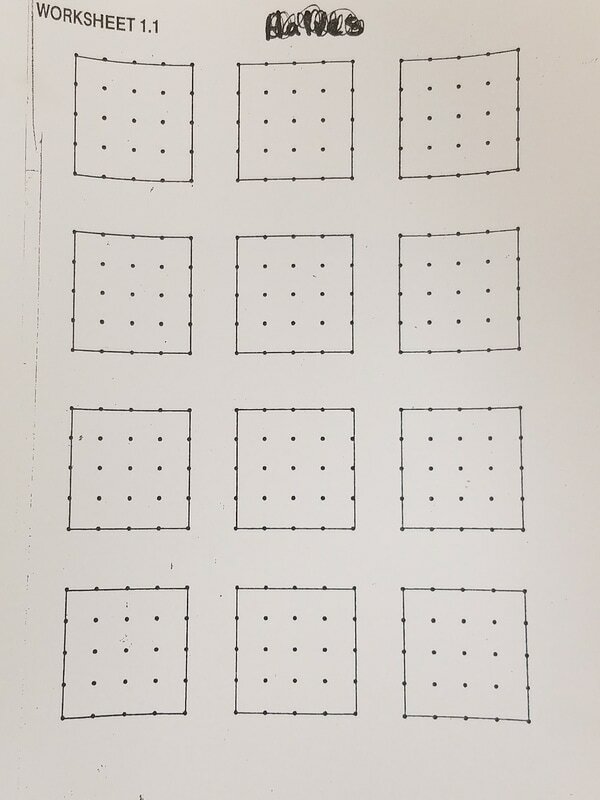 What's important is that they think about the the fractional sizes the pieces are supposed to be, rather than just relying on the paper pieces they've cut. Students play the games independently. 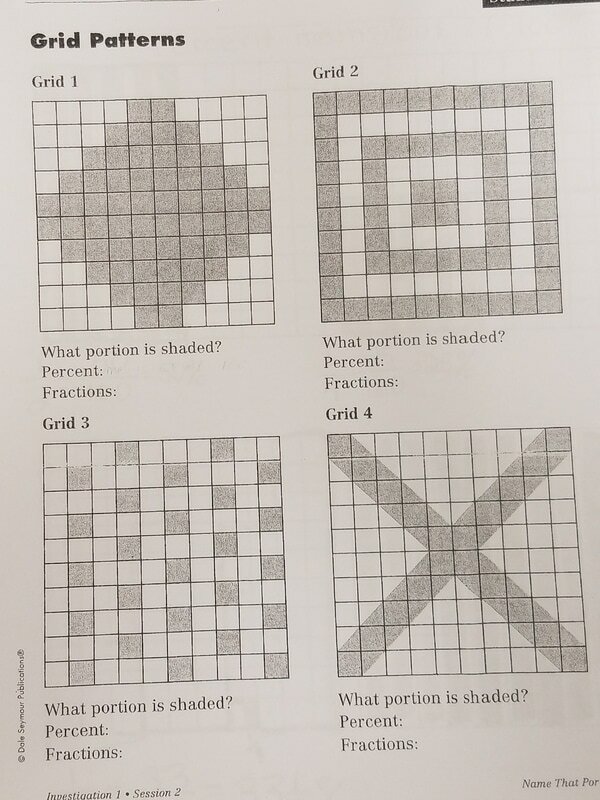 Cover the Whole Activity (Introducing Fractions pp. 22 & 23. Assess students' knowledge of fractional equivalents by observing students play the games. What do you hope to roll next? Why? How much ahead are you than your partner? Be thinking about about your next plays. Don't grab the die at the end of your partner's turn; wait until your partner says "done." Make sure students are using inductive reasoning to make conjectures as they play the game. what patterns do they notice? Students will play Uncover Version 2. What was my winning strategy? While playing the game, students record all the equivalencies they use. For example, if they roll 1/8 and remove 2/16, they write 1/8 = 2/16. If they roll ¼ and exchange for 2/16 and 1/8, the write ¼ = 2/16 + 1/8. Make sure students use academic vocabulary (e.g. 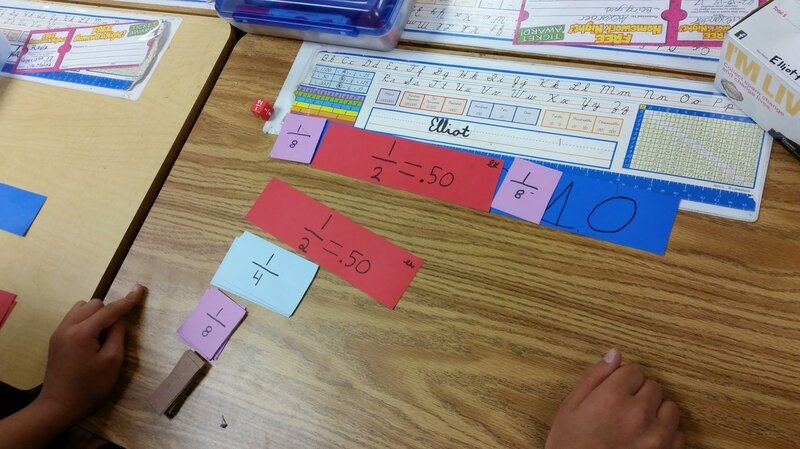 fraction unit, equivalent, less than, more than). Students play the game independently. Do a quick write. "If I had 1/2 and 1/16 on my board (whole), what would be the fewest rolls possible to cover the whole completely? What would the rolls be?" *Note - Teachers use the Geoboard Packet (made from worksheet 1.1). Finding fractional parts of a rectangular area. Interpreting the meaning of the numerator and the denominator of a fraction. Comparing Fractions - Draw the number line on the board (0, 1/2, 1). Put a fraction on the board (halves, fourths, eighths, sixteenths) and ask the students, "Where would you place this fractions on the number line? How do you know?" Student activity book, page 3.